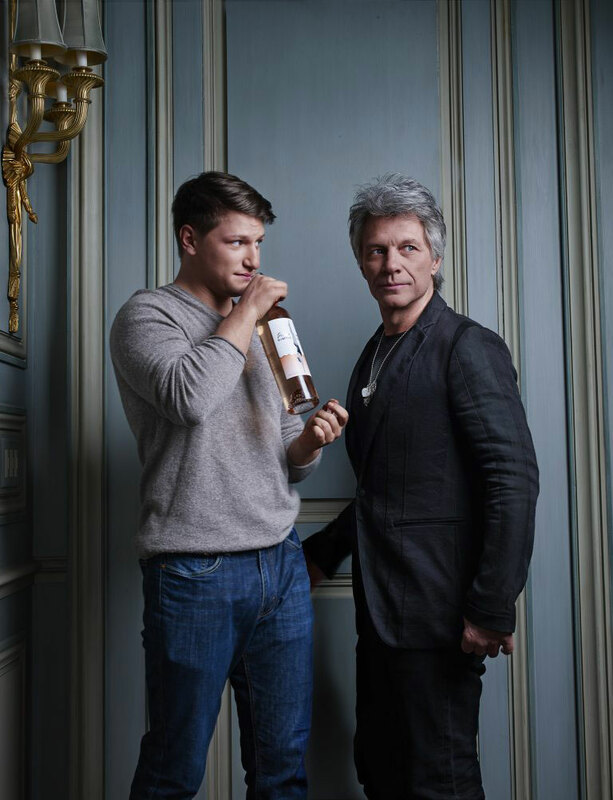 Diving Into Hampton Water sounds like a plan for Summer weekends… But it’s not a jump in the pool that’s so tantalizing, for Rock And Roll Hall of Famer Jon Bon Jovi – and his son Jesse – it’s a distinctive rosé wine that they’re bottling in France and bringing to the Hamptons. Jon Bon Jovi started heading out East 13 years ago, “I bought the house [in East Hampton] and never looked back. This is our favorite place on the Earth to be. I love it here.” The idea for the rosé began light heartedly about two years ago, when Bon Jovi and his son, Jesse, were chilling on their Georgica Estate, enjoying a glass of rose or as they used to call it, “pink juice.” Joking, Jesse suggested they call their favorite beverage, Hampton Water. Voila! This fresh, lively elixir, a blend of Grenache, Cinsault and Mourvèdre, was born. With 130 million albums sold and hits that keep on coming, “Wanted: Dead Or Alive”. “Livin’ On A Prayer”, “It’s My Life”, Jon Bon Jovi is undoubtably a legend in the world of music. 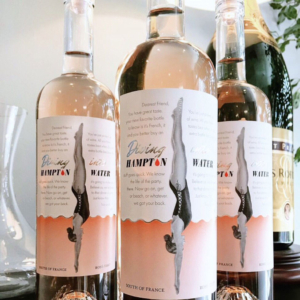 With his son, Jesse, he may soon become just as famous in the world of wine: they are both Diving Into Hampton Water headfirst. 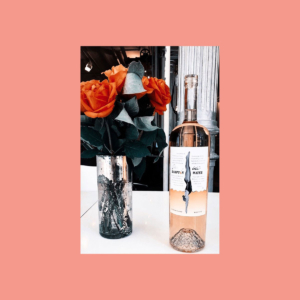 The 2017 bottling is already sold out (at $25 a bottle), but more cases are being air freighted from France, stock up as soon as it arrives, it’s No.1 on the charts and rocking off the shelves.